WIELDER OF THE HEALING BOW. Nuccteem is the younger sister of Rowkey. 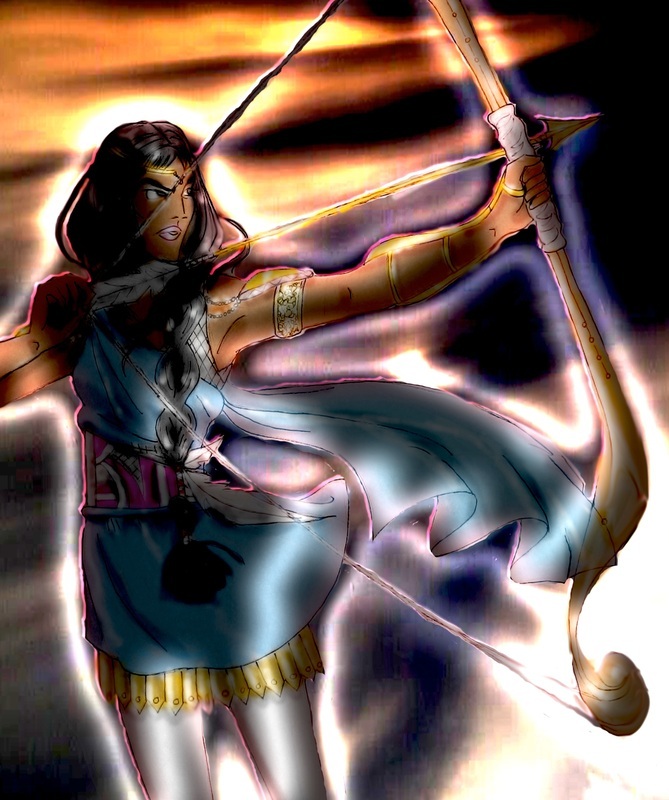 She resides in the Native Reserves along Lake Neecee of the Seven Lakes and Thunder Falls. She is specially gifted in natural healing using plant life and other elements. Her people are from one of the lost Twelve Kingdoms of The LIGHT that adopted the ways of the pagans for many moons. It’s not until Prince Riviairra’s death and resurrection that her and her people’s faith is restored returning them to The LIGHT. Nuccteem is given the gift of The Healing Bow by The LIGHT to wipe out all sickness by the cause of The Beast and the other humans still in captivity of the curse.